Student part-time employment has been introduced since the academic year 2004-2005. Students may be eligible for part time employment if they are in their third year or above. They fill out an application form at the Office. Those who are eligible are kept on active file and sent to departments that request student. Identifying different departments’ needs of students’ jobs. Identifying the students who need Work-Scholarship in the University, Colleges, Departments, Units, and Divisions. Assisting with part-time and internship job placements. Assist students with job search strategies in order to understand the process of career choice and planning. Maintain and update a vacancy list of current jobs available in the market. Mediate between students and employers through lectures and workshops. Keep undergraduates informed about the career openings available. Co-ordinate with colleges regarding career guidance. 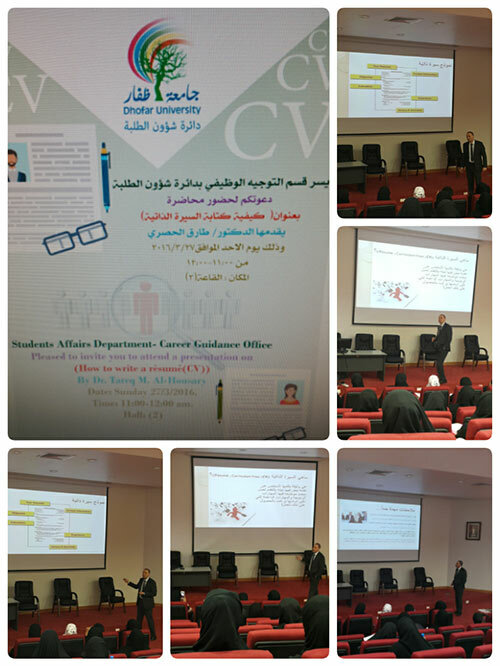 Each semester the Career Guidance Office organize lectures on how to write a CV and how to pass interviews students learn about the most important methods of writing CV and common mistakes in which face people while writing a CV and attending interviews. Introduction to professional trends and the benefits of discovering it. Detailed explanation of Holland’s scale of professional tendencies. Test the scale on students in the workshop. Analyzing and interpreting the results. Provide feedback to students about the appropriate jobs for them. The Career Guidance Office conduct Mock Training Interviews in the meeting room at the Student Affairs Department. The goal was to make the student live in the interview atmosphere and then get feedback at the same time from the Committee to know their weakness and strengthness. The Career Guidance Office conduct a lecture about “Secrets of Success Psychology”. It aimed to enhance students` self-confident. 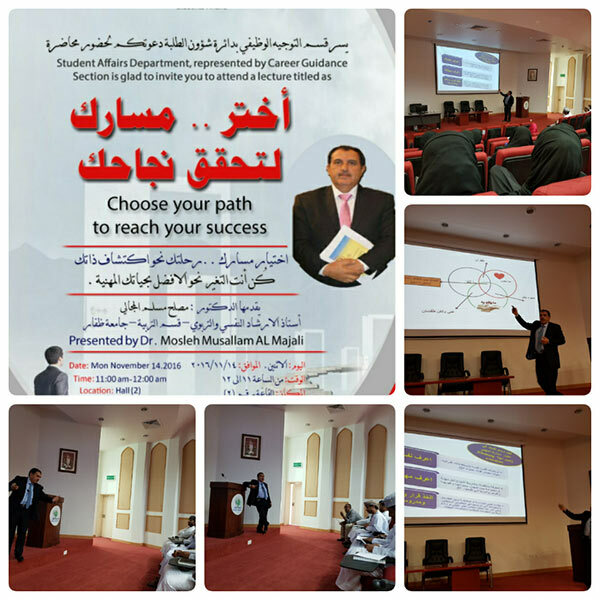 The lecture focused on two contrastive thinking principles and their connection on achieving success or not as success is a craft not an action. The Career Guidance Office conduct a lecture about “The Strategy of Searching for Jobs Online”. It aimed to introduce students with advanced methods to search for jobs online and the best websites for it. The Career Guidance Office conduct many lectures in different fields like “choose your way to achieve Success”, “successful believes”, “getting a job and success secrets”, “mental strategies for educational excellence”, “be the change”, “what a successful does differently”, and “the perfect job interview”. The Career Guidance Office has organized a lectures (Sour Life is a Result of Your Choices). What to do after reaching? It aimed to introduce students to their goals and motivate them to reach success and maintain it. 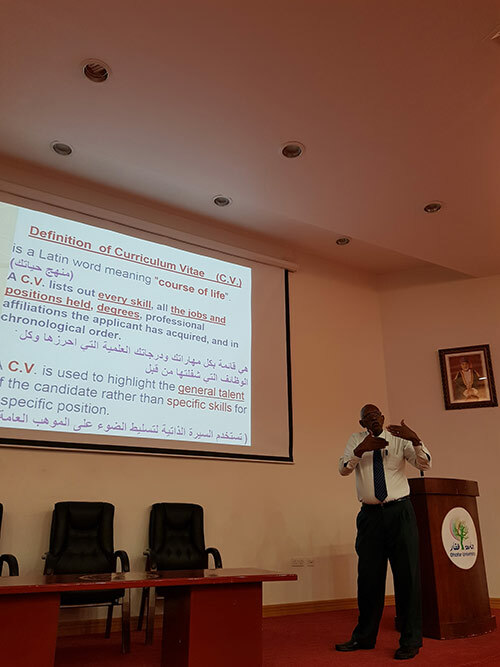 The lecturer presented a lot of topics which aims to enhance the self-confidence of students and their insight into their potential abilities. The Career Guidance Office participated in the second exhibition for career opportunities and training at the College of Applied Sciences in Salalah. 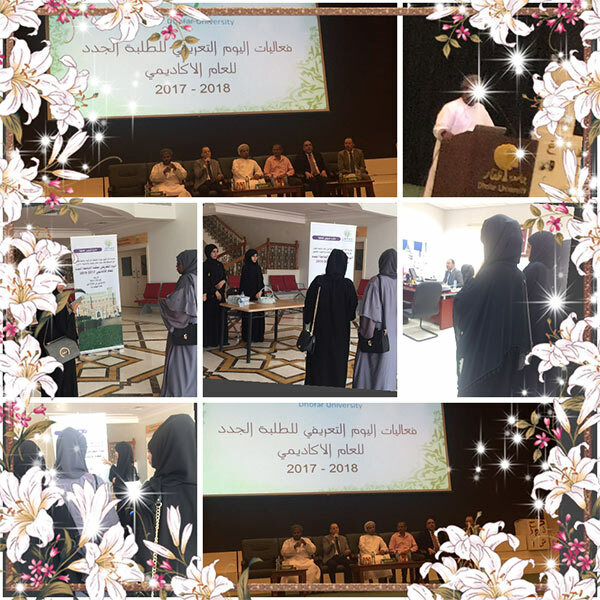 The Office participated in the exhibition to introduce students from Dhofar University to the government and private institutions and encourage qualified national cadres of university graduates to join the labor market. The Career Guidance Office organized a lecture on the training program for job seekers in the field of information technology. The program is for graduating students and those who are to graduate next in the Field of Information Technology. It was presented by a team from the Office of Information Technology. 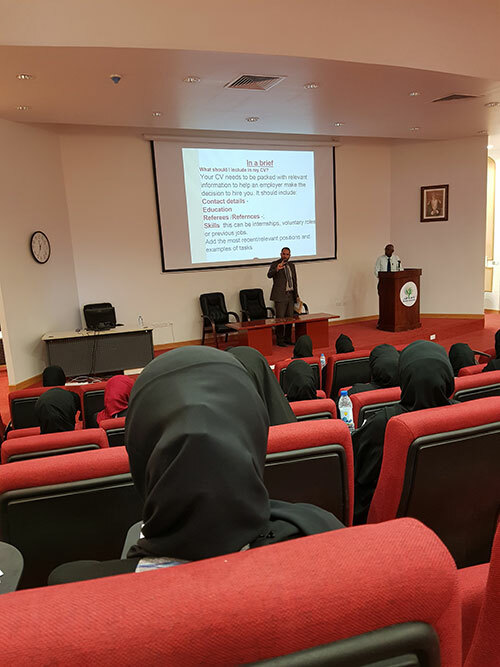 Students liked the lecture and thanked the organizers of the Lecturer, wishing for similar lecture in the future, because of the benefits that they gain from joining such programs. 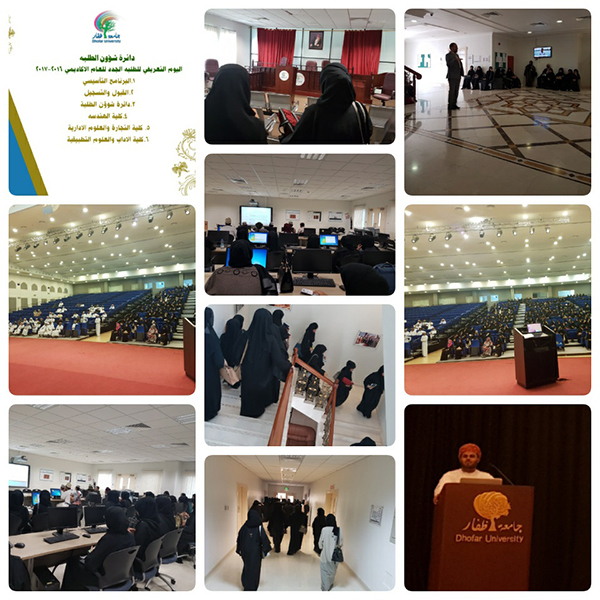 The Career Guidance Office in collaboration with the Student Council organized a lecture presented by: Leila Al-Shahry one of Dhofar University graduates for the year 2006 and the lecture discussed studying at the University and her continuous efforts to continue he education. She made a comparison between her life before and after studying at the University.